The blind stitch is a great stitch for hemming skirts and dresses as it is virtually invisible. 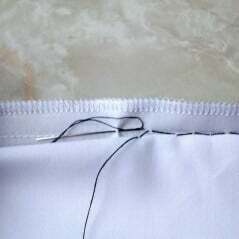 The stitch is worked by hand in between the hem and the garment, which then hides the sewing thread. To make the blind stitch, fold the hem edge back about 1/4″ or more. Then working from right to left make a small stitch in the garment. Moving to the left about 1/4″ – 1/2″, make the next stitch in the hem. Continue alternating the stitches between the garment and hem until you are done. 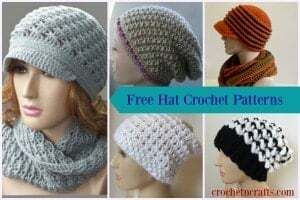 Try to use a matching thread and make your stitches as small as possible for an even greater effect. It takes a bit of practice and patience to keep the stitches even, but once you get the hang of it you can actually pick up quite a bit of speed.